Serbian wine is not something I normally look for when I’m stocking up with bottles ahead of a dinner party. As I’m learning, though, Serbia has a long tradition of wine production. The Živanović Winery is in the town of Sremski Karlovci, about 80 kilometres north-west of Belgrade. It’s one of around 60 wineries in the Fruška Gora region of the country. Sign for the Živanović Beekeeping Museum and Wine Cellar in Sremski Karlovci. The region’s spiced, sweet Bermet wine was drank by members of the Austro-Hungarian court. It’s said that Maria-Theresa, the Habsburg empress, decreed that the region’s young men were not permitted to marry without proof they’d planted a vine. I step down into the Živanović family’s 300-year-old cellar, where barrels holding nine different types of wine are maturing. The brickwork cellar has a boozy, musty aroma. Its temperature is a constant 12.5°C. The mould on the walls has taken decades to grow and, reputedly, helps regulate the cellar’s microclimate. On the front of the barrel immediately to my right I spot the word ‘Probus’ written in chalk. That happens to be the name of one of the 16 Roman emperors born on territory that today falls within Serbia’s borders. 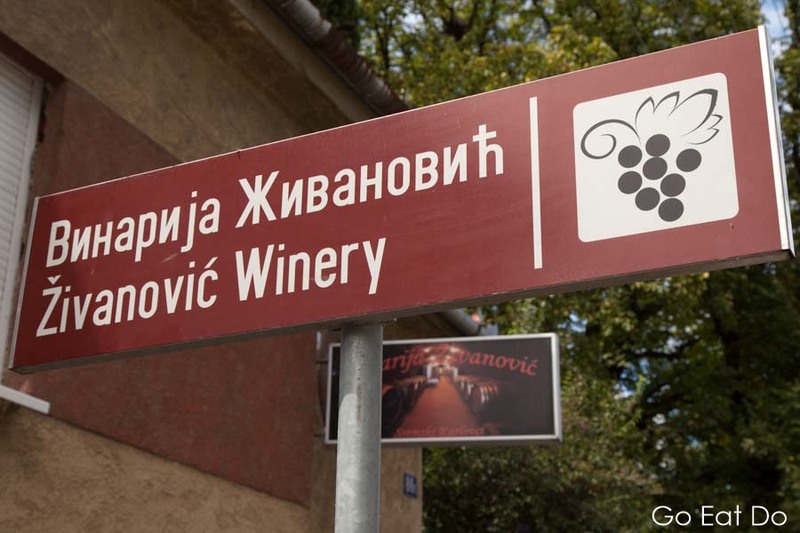 It’s also the name of a grape varietal that thrives in the Fruška Gora region. Sign pointing to the Živanović Winery on the Fruška Gora Wine Route in Serbia. After stepping out into the daylight I enter the Živanović’s private beekeeping museum — the only one of its kind in the country. Back in the 19th century Jovan Živanović was a professor of the Serbian language professor and apiculture. 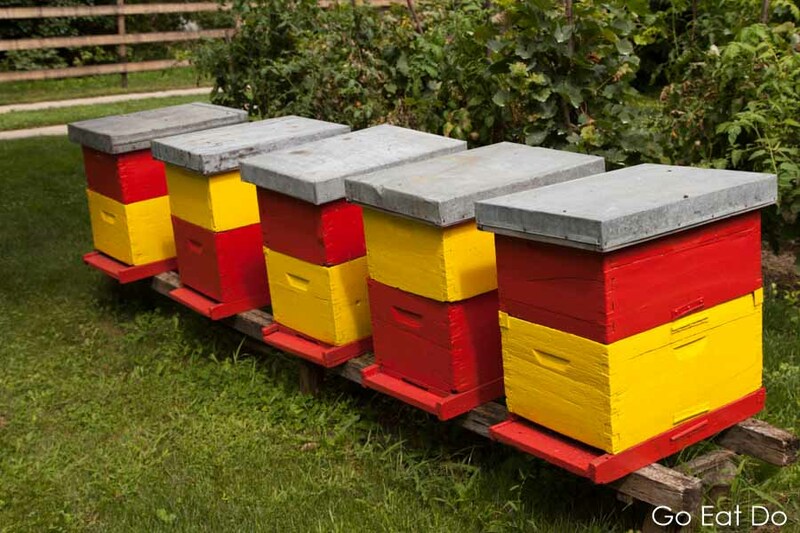 He’s celebrated as ‘the father of rational beekeeping’ having invented a frame that allowed honeycombs to be extracted. Prior to that, sulphur was put into hives before the honey was extracted, killing the bees in the process. The museum has 350 hives. The one that immediately catches my eye looks like a miniature Orthodox church. Framed certificates, posters depicting bees plus black and white photographs are displayed on the walls. One of the photographs, dating from 1841, is reputed to be the oldest in Serbia. I’m told that Živanović Bermet wine was stocked on the Titanic during its ill-fated crossing of the Atlantic Ocean in 1912. Prior to leaving the Živanović Winery I pop into the store and buy a bottle of Bermet to share when I return home. Beehives in the garden of the Živanović Winery at Sremski Karlovci, Serbia. I flew with KLM from Newcastle International Airport to Belgrade Nikola Tesla Airport, via the airline’s Amsterdam Schiphol hub. The A1/E75 motorway connects Belgrade and Sremski Karlovci, which are about an hour’s drive apart. See the Serbia Travel website for ideas about things to see and do in the country. Why not travel along one of Serbia’s wine routes if you enjoy wine and have an interest in viniculture? They include the Fruška Gora Wine Route and are a way of exploring wines and regional cuisine. Disclosure: Clicking on the images of the books suggested on this page will give you an option to buy them via Amazon. If you make a purchase I stand to make a small commission via affiliate marketing. Not a part of Europe I am familiar with. This sounds like a fine area to explore. I certainly found it a photogenic and culturally interesting region to visit.